Amid increasing dissatisfaction with mobile data solutions for firefighters, fire departments across the country are turning to the cloud for a new alternative. Mobile workstations are widely used by fire and police responders. The software behind these computers has traditionally been supplied through the same vendor that supplies the department’s computer-aided dispatch system, known as CAD. 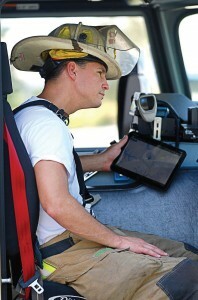 Now, however, fire departments are balking at the outdated hardware, unfriendly user interfaces and high costs that frequently come with a CAD vendor’s mobile solution. StreetWise saw a niche and decided to fill it with a new third-party solution. The company assembled a group of fire officers from around the country and asked what they’d most like to see in their mobile solution. In many cases, what they wanted was not even remotely similar to what they had. Even worse, many departments couldn’t afford what was available from their CAD vendor to begin with. “They asked for simplicity, speed, affordability and, above all, situational awareness,” said Ferguson. 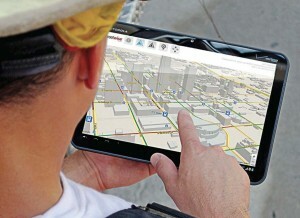 StreetWise CADlink was specifically built with features that fire officers value most, such as various map views, routing, water supplies, live unit locations and the ability to coordinate command and control of large-scale incidents. 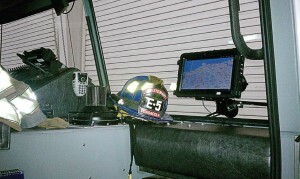 Fire officers also complained about the lack of interoperability of traditional CAD-based mobile solutions. Often, departments that respond together on a daily basis could not actively share information on their mobile devices. “By using cloud servers, departments in California can share data in real time with departments in Connecticut. The old walls are completely knocked down,” said Jeff Cahill, a partner in StreetWise CADlink. To improve mobility, the new system was designed for consumer tablet computers rather than laptops. With speed being critical, it was apparent the system would need to be built on live networking. “We knew that we couldn’t depend on the Push Notification Services used on smartphones to send messages such as Facebook updates and Groupon deals,” said Ferguson. “The data had to move live, not 20 minutes into an incident.” The system uses confirmed and encrypted device-to-server communication for latency of just a few seconds on every action. A VPN network connection is unnecessary because of the way data is moved, keeping connectivity problems to a minimum. The new system was also designed with a full preplanning suite, including both the ability to quickly create a preplan in the field and to display it intelligently on the device. By storing the data in the cloud, preplans are instantly synchronized and can be shared with neighboring departments, even those that are dispatched from a different dispatch center. “Rather than pulling out a binder and going through all these papers to try to find a business, it’s right there on the tablet. We can pull it up and we can see the hazards, we can see the fire department connection location, any special issues with the building, sizes, what the roof looks like, all from the tablet,” said Jester. “Because the response software is specifically designed for the needs of firefighters, it’s rapidly gaining acceptance,” said Ferguson. The company now has large departments like Little Rock, Ark., and small departments like Forest City, N.C., as customers. StreetWise CADlink is continuing to expand on its success. The software is now being offered as an option on the Command Zone display of apparatus built by Pierce Manufacturing, one of the largest fire apparatus suppliers in the world. StreetWise is now also developing customized cloud-based resource dispatching and tracking systems for other government services, such as snowplows, public works, parks departments and facility maintenance crews. Information provided by Hangar 14 Solutions.